When it comes to family-style Italian dining, Carmine's has certainly made a name for itself as a foodie destination. 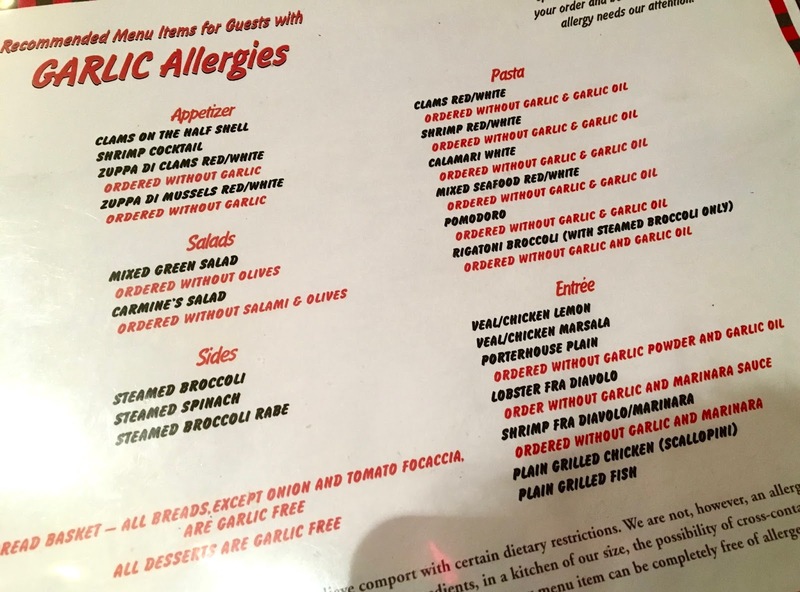 With locations in New York City, DC, Atlantic City, and Las Vegas, the chain is located at tourist hot spots around the country. What's great about Carmine's is that they have something for everyone- including people with restricted diets and food allergies. Everyone can find something to eat, and the whole party can partake in the fun of dining at Carmine's. 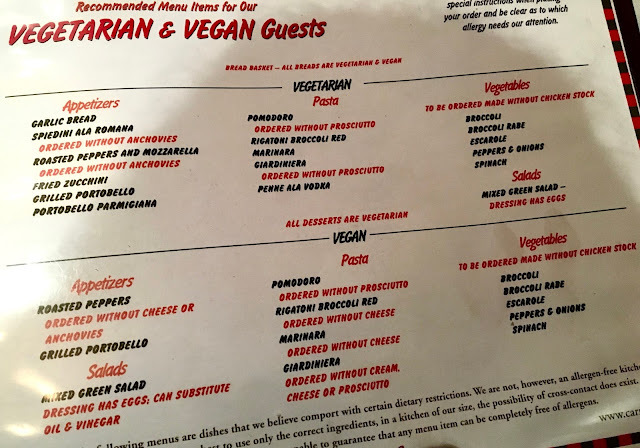 Carmine's has menus for gluten, dairy, and garlic allergies as well as one for vegans and vegetarians. 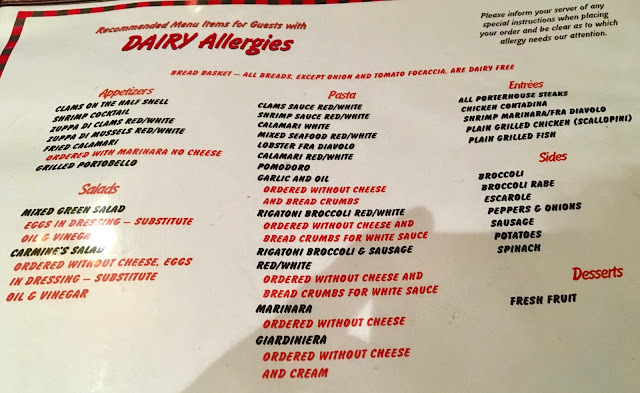 As with dining out anywhere, make sure to inform your server of your allergies, and ask questions to clarify if you have questions. Carmine's is not an allergy-free kitchen and does handle allergens in "regular" dishes. 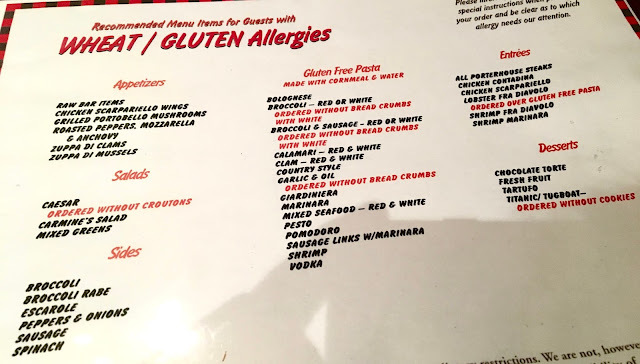 These menus are from the DC location, and are current to April of 2017. Disclaimer: The information presented is current to the post's publication date and does not reflect changes in ingredients or availability of items. Any updates will be noted. Please contact the restaurant directly for up-to-date information and feel free to contact me with any questions or comments.